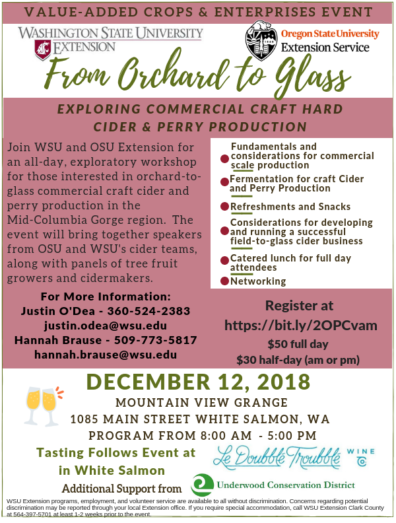 Join WSU and OSU Extension for an all-day, exploratory workshop for those interested in orchard-to-glass commercial craft cider and perry production in the Mid-Columbia Gorge region. The event will bring together speakers from OSU and WSUs cider teams, along with panels of tree fruit growers and cidermakers. For information on Agriculture in Klickitat County contact us.